Maranga is the name of an imaginary fruit: exquisite, tempting, succulent. 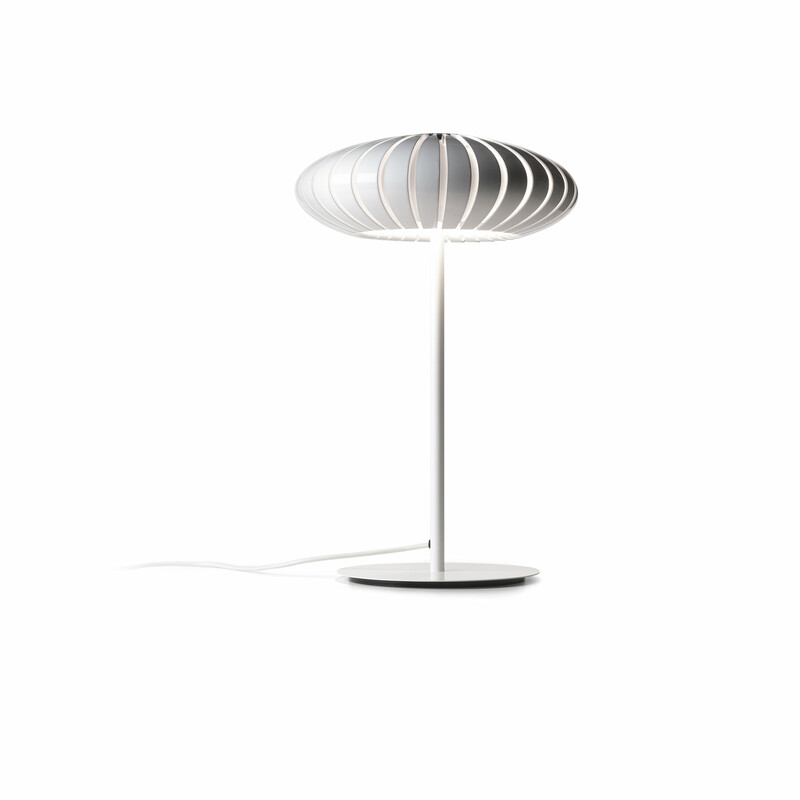 It reinterprets Scandinavian style in the essentiality of its shape and its rational use of lighting to generate a warm, comfortable atmosphere. The shade is made up of 32 slice-like pieces which fit together to allow chinks of light to escape. This interplay of light and dark generates an effect which is rich in shades of light and prevents glare, while an opening at the bottom fitted with a diffuser gives out direct light downwards.